IQ Computer Services removes computer viruses for you. Need us to come to your place? We offer onsite, online and in shop virus removal service. Computer viruses slow down your computer and steal personal information. This includes private photos, credit card numbers and contacts. How do I know if my computer has a virus? Common symptoms of malware and spyware include slow computer, freezing, pop ups, and startup problems. You may see error messages on screen, or missing files or desktop icons. 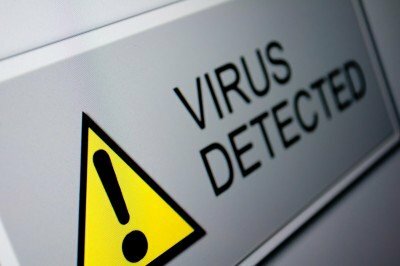 Trained computer technicians can find and clean up computer viruses in Alexandria, Arlington, VA and Washington DC metro area. How did my Computer get Viruses? Computers can get viruses many ways. You could get computer viruses from visiting malware infected websites. Other common ways include opening email attachments, clicking bad links on social media, external media (thumb drive, memory cards) Be aware of downloading music, movies, and games from dangerous sources like Peer to Peer sharing. Also, out-of-date expired antivirus software and freeware can leave you vulnerable to malicious software infections.